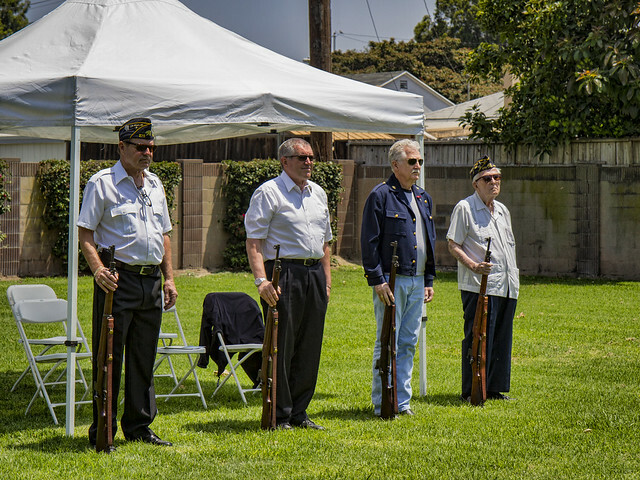 The Memorial Day Ceremony at the Downey Cemetery is sponsored by the American Legion Post 270. The American Legion is a volunteer organization chartered by Congress in 1919, and is "committed to mentoring youth and sponsorship of wholesome programs in our communities, advocating patriotism and honor, promoting strong national security, and continued devotion to our fellow servicemembers and veterans." Past National Commander Harry W. Colmery starts to write in longhand, on Mayflower Hotel stationery in Washington, the first draft of what will later become the "GI Bill of Rights" – considered the Legion's single greatest legislative achievement. Higher education becomes democratized after 8 million veterans go to school on the GI Bill, get better jobs, buy houses in the suburbs and raise families. Today, the Legion has over 2 million members worldwide. 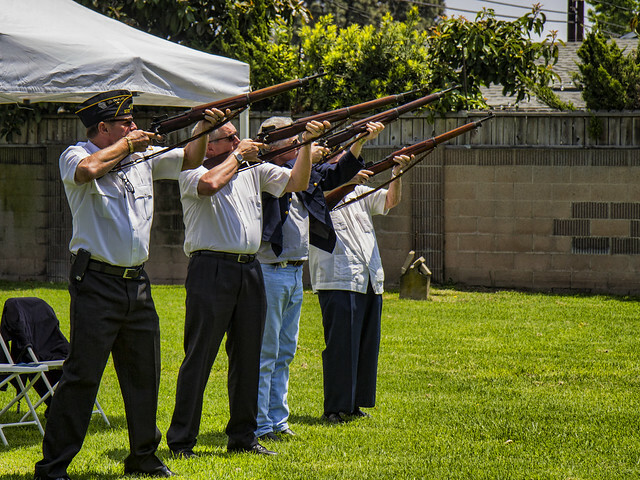 But local membership is declining, and there are no longer 7 volunteers for the traditional "21-gun" rifle salute. These four volunteers are Michael Murray (US Army), Richard Tuttle (Downey Police Dept), Johnny Croshaw (USMC), and Dean Wright (USAF).